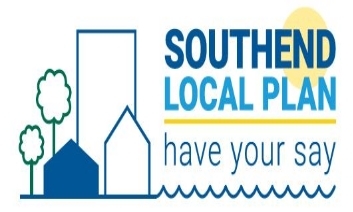 Southend-on-Sea Borough Council is hosting three local events to seek people’s views on a new Local Plan which sets out the council’s proposals to manage development of the borough and how it will assess planning applications for the area over the next twenty years. Local Plans address needs and opportunities in relation to housing, the local economy, community facilities and infrastructure, such as roads and transport. They should safeguard the environment, enable adaptation to climate change and help secure high quality and accessible design. Cllr John Lamb, Leader of Southend-on-Sea Borough Council, said: “Having a good Local Plan in place is vital for the future of the town. It will determine where major developments take place across the borough over the next 20 years and will impact on where people will live, work and spend our leisure time. “In Southend, we have a real challenge in providing the level of housing growth we need to meet future demand, so where and how we let residential development take place will be an important – but by no means the only – part of this consultation. “Importantly, it will allow the town to grow in a sustainable way, so that we have sufficient roads, medical facilities and schools while protecting valuable green spaces. “I feel passionate about Southend and I want the best possible future for its residents. I know this passion is shared by people I speak to across the town. The draft Local Plan can be viewed and commented upon by visiting https://localplan.southend.gov.uk until 2 April 2019. You can also buy hard copies of the document. Hard copies can also be viewed at the Civic Centre and all the local libraries within the borough. If you would like to be notified of future planning policy consultations, you can sign up to the council’s planning policy consultation database. Please contact planningpolicy@southend.gov.uk or telephone 01702 215408.